It was good to be back on a Monday night doing a hard Fartlek session. One of my aims over the next 5 weeks is to get back to do doing some faster sessions. For the ultra marathon in France I’d love to run the 43miles at an average pace of 9mins per mile which would give me a time of 6hrs 27mins. I reckon to do that I need to do a few things. One is to lose half a stone. I can run that bit faster when I’m nearer 12st than 12st 7lbs! The second thing is to run faster! and to do that I need to do some more quality sessions like tonight’s. The third thing is to do all my long off runs at around 9mins per mile to get my body used to that pace. So that’s the theory for the next month or so as I put in some quality weeks. Tonight there were only 7 of us running and I was leading the way for the majority of the runs. Chris McG decided to mix it up on the last 4 x 1min runs. He stormed past me on the first one and then I set him the challenge of repeating it for all four but he only managed 3 out of 4!! He said it was something to do with respecting his elders and giving me some hope!! I just asked him where he was on the 3min 30sec runs! That adds us to a total of exactly 5miles which is my aim for a 30min session so I’m really pleased with that. 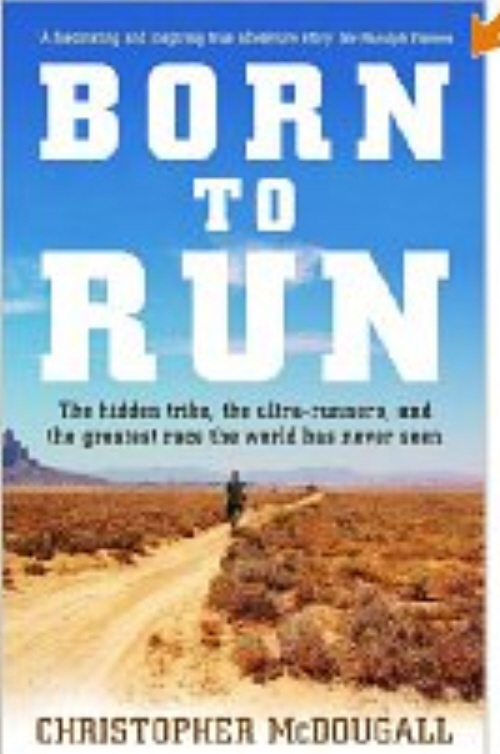 I’m reading Christopher McDougall’s book, ‘Born to Run’ at the moment and really enjoying it. I know a number of whw folk have read it and I can understand why they are experimenting with bare foot running. I’m not sure whether my feet could take it but I agree with the reasoning. I asked this question to a few of the runners tonight and they thought between 10-16 years. I assumed it would be something similar. The answer according to Dr Bramble is 64!! I found that really encouraging. The decline from our peak is a lot slower than I thought it would be. That means that I have another 14 years before I’m back to where I was at 19!! I was chatting to Jim McMillan about it tonight as we were changing. Jim is almost 65 and still running over 2,000 miles a year (something he has done for the last 35 yrs!). Jim reckons he’s bit slower than he was at 19 but on the percentage charts he is still just over 80% which is excellent. All good stuff and I’ll come back to the Born to Run book when I’ve finished it.